Display holiday dishes. Since you’ll be pulling the holiday dishes out of storage anyway, you can kill two birds with one stone by storing them on your Portland countertops. Use a bamboo dish rack to showcase decorative plates, or use a plate stand to display your favorite holiday platter. Set out a tree of holiday mugs. A mug tree filled with festive mugs set out on the kitchen countertop is a great way to encourage your guests to drink their fill of beloved winter drinks such as eggnog, mulled cider or hot buttered rum. Switch out the canisters. One way to decorate your kitchen countertops without taking up extra space is to swap out your regular food canisters for holiday-themed ones. It’s not even necessary to splurge on fancy canisters; buy an inexpensive set, and paint them to match your holiday décor. Cover appliances with holiday fabrics. Spread holiday cheer to your kitchen countertops while also hiding unsightly appliances by covering them with colorful, holiday-themed fabrics. You can either buy cloth appliance covers or make them yourself. Fill the fruit bowl with ornaments. A simple and inexpensive way to decorate your Portland countertops is to pile your fruit bowl with colorful ornaments or other holiday decorations. Holiday decorations don’t have to take up a lot of space on your kitchen countertops. 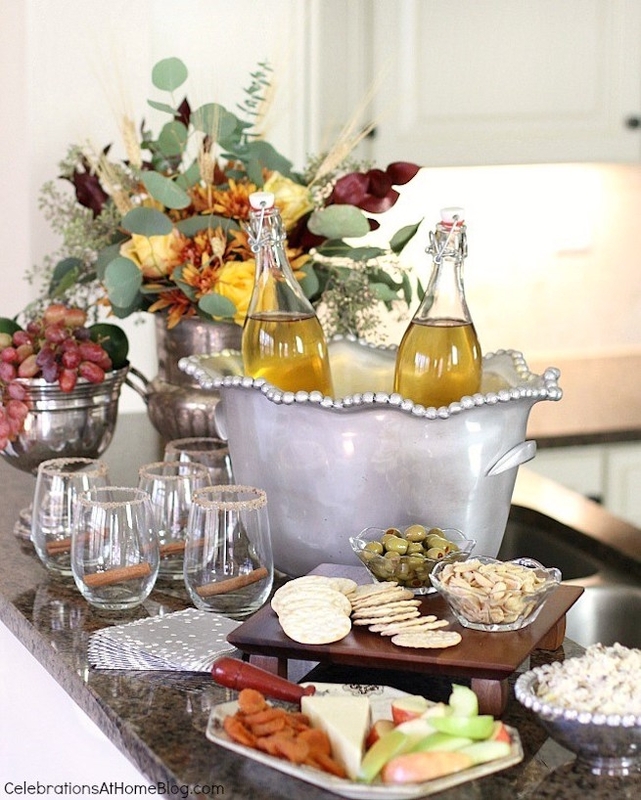 With just a little creativity, you can make your kitchen a cheerful place for holiday entertaining.